Main purpose of this term paper is to analysis Human Resource Planning and Recruiting Practices in an Organization. Human resource (HR) strategy represents key decisions which are made to shape and also guide HR programs, which include staffing. HR strategies are both based on and contribute to the formulation of the organization’s strategy. Organization and HR strategy work together to fulfill a quest and accompanying goals and objectives with the organization. HR strategy concentrates on decisions about how the organization’s workforce will likely be acquired, trained, managed, compensated, and retained. “Our people are our most important asset.” Many organizations are using this phrase, or something close to it, to acknowledge the important role that employees play in organizational success. The quality of an organization is, to a large degree, simply the summation of the quality of people it hires and keeps. Acquiring and retaining competent employees are significant to the success of every organization, whether the organization is just starting or has been in business for years. Acquiring skilled, talented, and motivated employees is an important part of Human Resource Management (HRM). The acquisition phase involves recruiting, screening, selecting, and properly placing personnel. Human resource (HR) strategy represents key decisions that have been made to shape and guide HR programs, including staffing. HR strategies are both derived from and contribute to the formulation of the organization’s strategy. Organization and HR strategy work together to fulfill a mission and accompanying goals and objectives for the organization. HR strategy focuses on decisions about how the organization’s workforce will be acquired, trained, managed, rewarded, and retained. Staffing strategy is an outgrowth of organization and HR strategy. It focuses on key decisions regarding the acquisition and deployment of the workforce. Human resource (HR) planning is described as a process and set of activities undertaken to forecast future HR requirements and availabilities, resulting in the identification of likely employment gaps (shortages and surpluses). Action staffing plans are then developed for addressing the gaps in ways that are in alignment with the strategy. A variety of statistical and judgmental techniques may be used in forecasting. Those used in forecasting requirements are typically used in conjunction with business and organization planning. For forecasting availabilities, techniques must be used that take into account the movements of people into, within, and out of the organization, on a job-to-job basis. External and internal environmental scanning occurs after forecasting. Their results temper, and aid in interpretation of, identified employment gaps. Analysis of gaps requires determining probable reasons for them. Such reasons can serve as stimuli for and inputs into action planning. Once an organization has an idea of its future human resource needs, the next phase is usually recruiting new employees. Recruiting is the process of identifying and attracting qualified persons to apply for the jobs that are open. Some recruits are found internally; others come from outside of the organization. Internal recruiting means considering present employees as candidates for openings. Promotions from within can help build morale and keep high-quality employees from leaving the firm. There are several methods to identify internal candidates; job posting, skills inventory, nominations, succession plans, in-house temporary pool etc. External recruiting involves attracting persons outside the organization to apply for jobs. External recruiting methods include unsolicited, employee referrals, advertisements, Internet, colleges and placement offices, employment agencies, executive search firms, job fairs, internships etc. The organization must also keep in mind that recruiting decisions often go both ways—the organization is recruiting an employee, but the prospective employee is also selecting a job. Thus the organization wants to put its best foot forward, treat all applicants with dignity, and strive for a good person-job fit. The study of this paper focuses on Human Resource Planning and Recruiting and which carried out with a view to submit a term paper on this topic as a part of the Human Resource Management course. A proposal was presented on the topic and the honorable instructor accepted it. The objective of the study, in this section of the paper, is to relate following fields of Human Resource Management with the current practices in a business firm “Leading Edge Technologies Ltd., (LETL)”. This study pursued a certain method to collect data, and analyzed the practices of “Human Resource Planning and Recruiting” within the company. Overall Approach : The analysis is a combination of both current and literature survey, with special emphasis on proceedings. Data Sources : This study is based on both primary and secondary data. Primary data collected through personnel survey, questionnaires and interviews, and secondary data through literature survey. Data Analysis : Data collected from the company for this study were compared with the theoretical overview as in the preceding section of this paper and after the comparison a conclusion is being drawn through analysis and evaluation. Leading Edge Technologies Ltd., (LETL) is a business firm established in 1992, engaged in sourcing of high quality textile products such as woven and knitted fabrics at competitive price from reputed textile mills around the world and marketing these fabrics to the 100% export oriented garments industries in the territory of Bangladesh. The company’s objective is to recognize its client’s specific requirements and to source the products according to these requirements from its foreign counterparts at much competitive price and with guaranteed quality. The company is working as sales agents of some renowned textile mills of China, Taiwan and Korea. The nature of its business is trading (indenting), where the company promotes and sells the products of the foreign textile mills to the local garment industries. On the basis of Indents (sales contracts) issued by the company, the local garment industries usually open letters of credit (L/C) to the foreign textile mills directly for the settlement of payments against their purchases, whilst the company gets sales commission from its foreign counter parts based on the total amount of goods sold. The company’s sales turnover recorded for the preceding year 2006 is about US$2 million. LETL is a very small company having only ten (10) members. On the basis of work activities, its members are grouped into two functional areas; (a) Operations and Marketing, and (b) Administration and Accounts (pls refer to the organogram in exhibit-2.1), with the Managing Director positioned at the top. 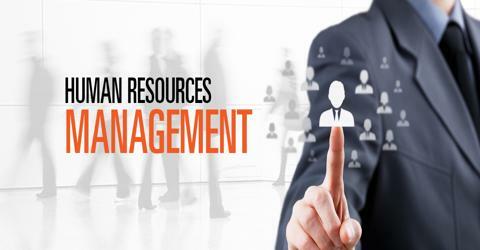 The firm’s human resource management functions are mainly carried out by the Administration and Accounts Department. Administration and Accounts department under the supervision of Managing Director and, Operations and Marketing Director carries out the human resource planning for the company. Planning is for whom ? As the choices of planning for various level goes on; like planning for aggregate level, planning for each job, planning at individual level, LETL centered its focus mainly on planning at aggregate level, i.e., lower level executives. The aggregate level planning is typically used for jobs with multiple incumbents and jobs at or below the middle management level. Besides this, individual level planning is also carried out. For important jobs particularly upper management positions, the company identifies specific employees who are likely successors when a position becomes vacant due to promotion or retirement. Succession plan for the chief executive (Managing Director) position identifies only one replacement and specifies the additional training required for him to become fully qualified for that position at some point in future. Planning for how long ? As the planning can be done in number of ways: like short-term, intermediate and long term planning, LETL mainly carries out the short term planning–just one year in advance and with particular emphasis on recruitment and downsizing needs. Sometimes long term planning–more than three years into the future, is also carried out. Plan for the executive succession often incorporate these longer time horizon. How planning is done ? The mission of LETL is to make diverse source of high quality textile products from around the world available to the local garment industries and to help accomplish their cost constraint exports. Being a leader in its business field, LETL formulated its business strategy based on its mission statement. The company’s competitive strategy is to differentiate itself from the competitors with its diverse sourcing abilities and, distinctive marketing and sales techniques. This requires skilled and committed employees–ones who will “go the extra mile” to do their best. Acquiring and retaining competent employees are significant to the success of every organization. LETL’s business and HR strategy work together to fulfill its mission and accompanying goals. The human resource planning begins in LETL when its top management forecasts the company’s personnel needs in terms of number and KSAOs. In this process it firstly forecasts its market size, product demand, and sales revenues, and then estimates the size of the staff required to achieve this volume. The planning is usually for short-term because sometimes it is difficult to take a long-term perspective since market conditions are changing radically. A “top-down” judgmental technique is being used in forecasting personnel needs, where LETL’s top management rely on their knowledge of business and organizational plans to make predictions about what future head counts will be. Since the company is very small with limited staffs therefore to fill the anticipated openings it has to focus on the availability of outside candidates. Step-1 : Requisitions from two functional areas are sent to the Administration and Accounts department. Step-2 : Administration and Accounts (A & A) department complies and verifies the requisition. After necessary approval from the top management, A & A department defines the open position and determines the skills needed to hold the job positions. Step-3 : The A & A department develop recruitment strategy after carefully defining the job details and job specification, and also identify whether to use open or targeted recruitment method. Step-4 : The A & A department build a pool of potential candidates for these job openings by recruiting external candidates using the sources employee referrals and newspaper advertisements. Human resource planning (HRP) is a process and a set of activities undertaken to forecast an organization’s labor demand (requirements) and internal labor supply (availabilities), to compare these projections to determine employment gaps and to develop action plans for addressing these gaps. Action plans include staffing planning. The basic elements of virtually any organization’s HRP are shown in Exhibit 1.2. As can be seen, the HRP process involves five sequential steps. Reconciling requirements and availabilities—that is, determining gaps (shortages and surpluses) between the two. Developing action plans to close the projected gaps. Before Human resource planning (HRP) begins, there are several critical decisions that must be made. These decisions will shape the nature of the resultant HRP process, and they will influence the output of the process, namely, the gap estimates. The quality and potential effectiveness of the action plans developed from the gap estimates are thus at stake when these initial decisions are confronted and made. Comprehensiveness of Planning : HRP often takes place as an integral part of an organization’s business planning process; this is referred to as plan-based HRP. Sudden changes in consumer’s preferences or legal requirements can wreak havoc on business plans. Organizational responses to these changes often occur in the form of special projects rather than in changes in the total business plan. Part of each response requires consideration of HR implications, however resulting in what is called project-based HRP. Planning focused on a specific employee group is referred to as population-based HRP. Planning Time Frame : Normally plans are divided into long-term (three years and more), intermediate (one to three years), and short term (one year or less). Organizations vary in their planning time frame, often depending on which of the three types of HRP is being undertaken. For plan-based HRP, the time frame will be the same as that of the business plan. Planning for project-based HRP vary depending on the nature of the projects involved. Population-based HRP will have varying time frames, depending on the time necessary for labor supply (internal as well as external) to become available. As an example, for top-level executives in an organization, the planning time frame will be lengthy. Job-Categories and Levels : The unit of HRP and analysis is comprised of job categories and hierarchical levels among jobs. These job categories/level combinations, and the types and paths of employee movement among them, form the structure of an internal labor market. Job categories are created and used on the basis of the unit of analysis for which projected shortages and surpluses are being investigated. Hierarchical levels should be chosen so that they are consistent with or identical to the formal organizational hierarchy. Head Count (Current Workforce) : Simply by counting the number of employees on the payroll at the beginning of the planning period may be adequate for intended purpose. However it ignores two important distinctions, first it ignores the amount of scheduled time worked by each employee relative to a full workweek. For example, it treats full-time employees as synonymous with part-time employees. To rectify this, an employee head count may be made and stated in terms of full-time equivalents, or “FTEs”. A second problem with current payroll head count is that it ignores vacancies that exist at the time of the count. Since most of such vacancies are probably so-called authorized ones, derived from previous HRP, they are better added into any head count tallies for the current workforce. Roles and Responsibilities : Both line managers and staff specialists (usually from the HR department) become involved in HRP, so the roles and responsibilities of each must be determined as part of HRP. Most organizations take the position that line managers are ultimately responsible for the completion and quality of HRP. But usual practice is to have HR staff assist with the process. Future HR requirements represent the number and types (in terms of qualities or KSAOs) of employees that the organization will need in the future to produce its goods and services. The requirements represent the organization’s desired workforce of the future. These projections are derived from knowledge of the overall business plan of the organization, as well as accompanying organizational plans regarding structure and hierarchy. Business and organizational plans thus drive the future HR requirements of the organization. In many organizations, however, the process is reciprocal; tentative projections about HR requirements help shape the establishment of business and organizational plans. Thus forecasting HR requirements is a direct derivative of business and organizational planning. It becomes a reflection of projections about a variety of factors, such as sales, production, technological change, productivity improvement, and the regulatory environment. Many specific techniques may be used to forecast HR requirements; these are either statistical or judgmental in nature, and are usually tailor-made by the organization. A wide array of statistical techniques is available for use in HR forecasting. Prominent among these are trend analysis, ratio analysis, scatter plot, and computerized forecast. Brief descriptions of these techniques are given as below. Trend Analysis : Trend analysis means studying of a firm’s past employment needs over a period of years to predict future needs. Ratio Analysis : A forecasting technique for determining future staff needs by using ratios between, some casual factor (like sales volume) and the number of employees required (for instance, number of sales people). The Scatter Plot : A scatter plot shows graphically how two variables, such as a measure of business activity and the firm’s staffing levels, are related. If they are, then if can forecast the level of business activity, should also be able to estimate personnel requirements. Computerized Forecast : Determination of future staff needs by projecting sales, volume of production, and personnel required to maintain this volume of output, using software packages. First, their very complexity would lead away from a staffing focus. Second, all of these techniques are designed simply to project the past into the future. These techniques thus have limited applicability in organizations whose immediate past and/or future forecast are characterized by significant alternations in products and services, technologies, organizational structure. Obviously, this includes a large percentage of organizations of varying size today. Third, as they are dependent on the discovery of historical relationships between certain so-called leading indicators (e.g., sales or production volume) and head count, often these relationships are different to find, if found, they may not hold up in the future. Judgmental techniques represent human decision-making models that are used for forecasting HR requirements. Unlike statistical techniques, it is the decision maker who collects and weighs the information subjectively and then turns it into forecasts of HR requirements. The decision maker’s forecasts may or may not agree very closely with those derived from statistical techniques. Implementation of judgmental forecasting can proceed from either a “top-down” or “bottom-up” approach. In the former case, top managers of the organization, organizational units, or functions rely on their knowledge of business and organizational plans to make predictions about what future head counts will be. At times, these projections may, in fact, be dictates rather than estimates necessitated by strict adherence to the business plan. Such dictates are common in organizations undergoing significant change, such as restructuring, mergers, and cost-cutting actions. In the bottom-up approach, lower-level managers make initial estimates for their unit (e.g., department, office, or plan) based on what they have been told or presume are the business and organizational plans. These estimates are then consolidated and aggregated upward through successively higher levels of management. Then, top management establishes the HR requirements in terms of numbers. Availability projections focus on the organization’s current internal workforce. Their concern is with estimating the number and types of current employees that will be available in the future. More specifically, these estimates are concerned with the loss or exit of employees from the organization, the resulting distribution of employees who remain within the organization’s internal labor market (promotions, transfers and demotions), and the number or accessions (new hires) during the planning time frame. For forecasting availabilities, techniques must be used that take into account the movements of people into, within, and out of the organizations, on a job-by-job basis. As with HR requirements, these techniques can be classified as statistical or judgmental. Statistical techniques seek to predict availabilities on the basis of historical patterns of job stability and movement among employees. Between any two time periods, the following possibilities exist for each employee in the internal labor market. These possibilities may be thought of in terms of flows and rates of flow or movement rates. Past flows and rates may be measured and then used to forecast the future availability of current employees, based on assumptions about the extent to which past rates will continue unchanged in the future. Markov analysis is a statistical technique that accomplishes this, and the process involves, mathematical modeling of the organization, analysis of staff level, developing a matrix to show probability. While other possible techniques include renewal and goal programming. There are three judgmental techniques for forecasting availabilities that enjoy widespread acceptance; executive reviews, succession planning, and vacancy analysis. In this context, the main difference between statistical and judgmental technique is that the former treat employees as numbers and forecast their movements based on probabilities. The latter treat them as individuals and forecast their movements person by person. Executive Reviews : Executive reviews focus on small and unique groups of employees, most commonly top executives and other managers and professionals judged to have the potential to be top executives. Thus, executive reviews are a form of population-based HRP. The actual reviews are carried out through a series of meetings at which the top executives in a given unit consider anticipated HR requirements and then thoroughly discuss each person under review to determine who is likely to be, or should be, promoted, reassigned, developed for future assignments, or dismissed from the organization. Determinations are made based on judgments about performance, promotability, and potential, taking into account the long-term career interests of the employee being considered. The process produces a clear indication of where the organization can expect to have managerial shortages or surpluses. It also provides career and development plans for individuals. Succession Planning : This planning is often an adjunct to executive reviews. It helps identify backup candidates who are, or soon will be, qualified to replace current executives or upper-level managers. Succession planning results are typically summarized on charts. These greatly facilitate the planning of likely retirements, terminations, promotions, and transfers within and across organizational units. These charts also show which managers are in need of future development to become ready to fill job(s) for which they are (or might be) considered as replacements. Vacancy Analysis : In vacancy analysis, judgments are made about likely employee movement on an individual basis, as in executive reviews and succession planning. Because large numbers of employees are usually involved, the results may be aggregated and summarized statistically. Vacancy analysis is akin to judgmental Markov Analysis; employee movement is “guesstimated” through managerial judgment rather than estimated statistically through calculation and use of transition probabilities. The external portion of scanning involves tracking trends and developments in the external environment, discerning implications of these trends for HRP, and ensuring that these implications receive attention during the HRP process. External scanning focuses on the external forces of economic conditions, labor markets, labor unions, and laws and regulations. Internal scanning involves assessing the organization’s internal environment as it relates to the workforce and the conduct of HR activities. It is important to be aware of the composition and diversity of the organization’s workforce and the types of HR policies and programs that have been developed or need to be developed, to accommodate and encourage diversity. Also important is awareness of employees’ changing preferences for certain job rewards (e.g., parental leave, flexible work schedules) and their likely responses to such new rewards. In both of these examples, knowledge derived from internal scanning could be useful in the prediction of losses, internal moves, and accessions. Armed with estimates of future requirements and availabilities—estimates tempered with assessments based on external and internal environmental scanning—the organization must reconcile all of the data it has collected in order to arrive at predicted employment gaps. Gaps represent shortages and surpluses of employees, primarily in terms of numbers of employees. Gaps may also be thought of in more qualitative terms pertaining to shortages or surpluses of KSAOs. Identification of, and agreement on, gap estimates are the “bottom-line” objective of forecasting activities. With some sense of impending shortages and surpluses, the organization has the opportunity to begin planning how best to cope with them. In this way, the organization can be proactive in its HR policies and programs and can avoid a reactive approach to HR problems involving shortages (e.g., “Rahim just quit; find me a replacement immediately!”) and surpluses (e.g., “Sales keep falling; we have no choice but to lay off some employees.”). Action planning involves four basic sequential steps; set objectives, generate alternative activities, assess alternative activities, and choose alternative activities. Movement through these steps is a logical outgrowth of HRP and is greatly enhanced by its occurrence. Action plans spring forth and begins to take shape from identified employment gaps. They represent careful, intentional responses to likely future events. Many of these responses involve staffing activities. Shortages, for example, usually lead to the development and implementation of external staffing activities that yield sufficient numbers and types of new employees to meet the shortage challenge. As another example, shortages may be met by implementing a productive improvement program involving current employees, rather than hiring new employees. The four stages of action planning translate directly into a general staffing planning. After discussing this general process, staffing planning is divided into planning for the core and the flexible workforces. Staffing Objectives : Staffing objectives are derived from identified gaps between requirements and availabilities. As such, they involve objectives responding to both shortages and surpluses. They may require the establishment of quantitative and qualitative targets. Quantitative targets should be expressed in head count or FTE form for each job category/level and will be very close in magnitude to the identified gaps. Qualitative staffing objectives refer to the types or qualities of people in KSAO-type terms. Generating Alternative Staffing Activities : With quantitative and, possibly, qualitative objectives established, it is necessary to begin identifying possible ways of achieving them. This requires an identification of the fullest possible range of alternative activities, which if pursued, might lead to achievement of the objectives. Assessing and Choosing Alternatives : As should be apparent, there is a veritable smorgasbord of alternative staffing activities available to address staffing gaps. Each of these alternatives needs to be assessed systematically to help decision makers choose from among the alternatives. The goal of such assessment is to identify one or more preferred activities. A preferred activity is one offering the highest likelihood of attaining the staffing objective, within the time limit established, at the least cost or tolerable cost, and with the fewest negative side effects. A fundamental alternative involves use of core or flexible workforces, as identified in staffing strategy. Plans must be developed for acquiring both types of workforces. Advantages and disadvantages of each type are provided; these should first be reviewed to reaffirm strategic choices about their use. Following that, planning can begin. A core workforce, defined as regular full-time and part-time employees of the organization, forms the bulk of most organization’s workforces. The key advantages of a core workforce are stability, continuity, and predictability. The organization can depend on its core workforce and build strategic plans based on it. Several disadvantages of a core workforce also exist. The implied permanence of the employment relationship “locks in” the organization’s workforce, with a potential loss of staffing flexibility to rapidly increase, reduce, or re-deploy its workforce in response to changing market conditions and project life cycles. The labor costs of the core workforce may be greater than that of the flexible workforce due to (a) higher wages, salaries, and benefits for the core workforce; and (b) the fixed nature of these labor costs, relative to the more variable costs associated with a flexible workforce. Consideration of these advantages and disadvantages needs to occur separately for various jobs and organizational units covered by the human resource plan. In this way, usage of a core workforce proceeds along selective, strategic lines. For the core workforce, this first involves matters of staffing philosophy and staffing flowcharts; this will guide the planning of recruitment, selection, and employment activities. Staffing Philosophy : In conjunction with the staffing planning process, the organization’s staffing philosophy should be reviewed. Results of this review help shape the direction and character of the specific staffing systems implemented. The review should focus on the issues; internal verses external staffing, EEO/AA practices, and applicant reactions. The relative importance to the organization of external or internal staffing is a critical matter because it directly shapes the nature of the staffing system, as well as sends signals to applicants and employees alike about the organization as an employer. There are several discrete but sequential phases that comprise a general staffing flow—a flow that involves an applicant reduction process and consists of, eligible labor force, potential applicant population, applicants, candidates, finalists, offer receiver and new hire(s). The two major components of the flexible workforce will be temporary employees provided by a temporary employment agency and independent contractors. Planning for usage of the flexible workforce must occur in tandem with core workforce planning; hence it should begin with a review of the advantages and disadvantages of a flexible workforce. The key advantage is staffing flexibility. The flexible workforce may be used for adjusting staffing levels quickly in response to changing technological or consumer demand conditions and to ebbs and flows of orders of products and services. Usage of a flexible workforce relives the organization of the need to design and manage its own staffing systems, since this is done by the flexible workforce provider. An added advantage here is that the organization might use flexible workers on a “try out” basis, much like a probationary period, and then hire into its core workforce those who turn out to be a solid person/job match. These advantages must be weighed against potential disadvantages. Most important is the legal loss of control over flexible workers because they are not employees of the organization. Thus, although the organization has great flexibility in initial job assignments for flexible workers, it is very limited in the amount of supervision and performance management it can conduct for them. It should also be reminded that the quality of the flexible workforce will depend heavily on the quality of the staffing and training systems used by the provider of the flexible workers. The organization may end up with flexible but poorly qualified workers. If the review of advantages and disadvantages of flexible workers confirms the strategic choice to use them in staffing, plans must be developed for the organization units and jobs in which they will be used, and for how they will be acquired. Acquisition plans normally involve the use of (a) Temporary help agencies and (b) Independent contractors, both of which form the traditional staffing activities for the organization. Once an organization has an idea of its future human resource needs, the next phase is usually recruiting new employees. Recruiting is the process of identifying and attracting qualified persons to apply for the jobs that are open. Some recruits are found internally; others come from outside of the organization. Prior to identifying and attracting internal applicants to vacant jobs, attention must be directed to organizational and administrative issues that facilitate the effective matching of internal applicants with vacant jobs. Organizations must create a structured set of jobs for their employees and paths of mobility for them to follow as they advance in their careers. To do this, organizations create internal labor market. Each internal labor market has two components: mobility paths and mobility policies. Mobility Paths : Mobility paths depict the path of mobility between jobs. These are of two types: traditional and innovative. Both types of mobility paths determine who is eligible for a new job in the organization. Mobility Policies : Mobility paths show the relationship among jobs, but they do not show the rules by which people move between jobs. These rules are specified in written policies, which must be developed and should specify eligibility criteria. Requisition : A requisition or authorization to fill a position by higher-level management is essential to the internal recruitment process. Co-ordination : Internal and external recruitment efforts need to be coordinated and synchronized via the organization’s staffing philosophy. If the coordination is not done, disastrous results can occur. Budget : An organization’s internal recruitment budgeting process should also closely mirror the budgeting process that occurs with external recruitment. The cost per hire may, however, differ between internal and external recruitment. Recruitment Guide : Internal recruitment activities involve the development of a recruitment guide, a formal document that details the process to be followed to attract applicants to a vacant job. An organization must develop a strategy to locate viable internal job applicants. It must consider where to look, how to look, and when to look. The strategy for where to look must be conducted within the constraints of the general eligibility criteria for mobility. Within these constraints it requires knowledge of closed, open and targeted systems. Closed Internal Recruitment System : Under this system, employees are not made aware of job vacancies. The only people made aware of promotion or transfer opportunities are those who oversee placement in the HR department, line managers with vacancies, and contracted employees. The way a vacancy is typically filled under a closed system . A closed system is very efficient, because there are only a few steps to follow, and the time and cost involved are minimal. Open Internal Recruitment System : Under this system, employees are made aware of job vacancies. Usually this is accomplished by a job posting and bidding system. The typical steps followed in filling a vacancy under an open internal recruitment system. An open system gives employees a chance to measure their qualifications against those required for advancement. Hidden talent is often uncovered. Targeted System of Internal Recruitment : Under this system, both open and closed steps are followed at the same time. Jobs are posted, and the HR department conducts a search outside the job posting system. Both system are used to cast as wide a net as possible. The large applicant pool is then narrowed down by KSAOs, seniority eligibility, demographics, and availability of applicants. Once it has been specified where and how in the organization individuals are likely to be found, there are several major methods that can be used to decide how to look for them: job postings, skills inventory, nominations, succession plans, and in-house temporary pool. Job Posting : Job posting means publicizing the open job to employees (often by literally posting it on bulletin boards or intranets) and listing the job’s attributes, like qualifications, supervisor, work schedule, and pay rate. Its content should be based on the job requirements matrix. Skills Inventory : KSAOs that are used in making advancement decisions are stored in skills inventory. The inventory consists of manual files or computer files for each employee. Unfortunately, many skills inventories are plagued by problems that make their usefulness suspect. One such problem is the very careful and tedious record keeping required to keep them up to date and useful. Maintenance of these files is critical. Nominations : Nominations for internal candidates to apply for open positions can be solicited from potential supervisors and peers. They may be an excellent source of names of internal candidates, as they have a great deal of familiarity with what is required to be successful in the position. Succession Plans : A critical source of internal recruiting is provided by succession planning. Most succession plans include replacement charts (as in Exhibit 1.3), which indicate middle and upper-level positions and who are scheduled to fill those slots. Replacement charts usually also indicate the time until the individual is ready for the assignment, and identify the KSAOs still in need of development. Unlike a skills inventory, which is organized by employee and lists the employee’s current skill set, replacement charts are organized by position and list the skills needed for the prospective position. In-House Temporary Pools : In-house temporary pools are not only important to the temporary staffing of organizations as the temporary need for personnel arises periodically but they are also an excellent source of permanent internal employment. From the perspective of the organization, they are a know commodity and require less orientation to the organization than would external hires. Intranet and Intraplacement : With the growing sophistication of company-wide computer networks, a recent source of internal applicants are internal Web sites know as intranets. An intranet is similar to the Internet, except that it is confined to the organization. This makes it ideal for internal recruitment because jobs can be quickly posted for all employees to see. Where as intranets rely on employees to search for positions, so-called intraplacement systems use internal recruiters to recruit and place internal candidates. There is no single best source for recruitment; each source has its strengths and weaknesses. The following criteria can be used to select which sources are most appropriate for each search. The search for internal recruits is activated with a requisition. Once the requisition has been approved, the message and medium must be developed to communicate the vacancy to applicants. When searching for candidates, the message to be communicated can be traditional, realistic, targeted, or attractive. Which approach is best to use depends on the applicants, job and organization. The medium for delivery can be a job posting, other written documents, and potential supervisors and peers. The objective of the external recruitment process is to identify and attract job applications from outside the organization. From among these applicants hiring decisions are to be made. The recruitment process begins with a planning phase during which both organizational and administrative issues regarding the identification and attraction of applicants are addressed. Organizational issues include in-house verses external recruitment locations, individual verses co-operative recruitment alliances, and centralized verses decentralized recruitment functions. In-house verses External Recruitment Agency : Most organizational recruiting is done in-house. Smaller organizations may rely on external recruitment agencies rather than in-house function to coordinate their recruitment efforts, as smaller organizations may not have the staff or budget to run their own recruitment functions. Individual verses Cooperative Recruitment Alliances : Most organizations, especially ones that compete with one another in the same product and labor markets, do not cooperate with one another when recruiting. They do not cooperate because one organization’s gain (a well-qualified hire) is another organization’s loss (loss of a well-qualified candidate). There are times, however when even competitors may enter into cooperative recruitment alliances where agreements are made to share recruitment resources. Smaller organizations may gain from cooperating with one another in order to minimize recruitment costs. Centralized verses Decentralized Recruitment : The recruitment of external job applicants can be centralized or decentralized by an organization. A centralized recruitment function is one for which recruitment activities are coordinated by a central group, usually HR professionals in the corporate office. A decentralized recruitment system is one where recruitment activities are coordinated by individual business units or individual managers. In the planning stage of recruitment, attention must be given to administrative as well as organizational issues. Requisitions : A requisition is a formal document that authorizes the filling of job opening indicated by the signature of top management. Supervisors are not given discretion to authorize the filling of job openings. Number of Contacts : The pool of applicants to be selected almost always needs to be larger than the number of applicants that will be hired eventually. Some applicants who are contacted may not be interested in the position, and others may not be qualified. It is very difficult to identify the exact number of contacts needed to fill a particular vacant position. However, historical data is very useful in establishing the targeted number of contacts. If careful records are kept, then yield ratios can be calculated to summarize the historical data and to guide decisions about the number of contacts to make. A yield ratio expresses the relationship of applicant inputs to outputs at various decision points. Types of Contacts : The types of contacts to be made depend on two factors. First, it is essential that the qualifications needed to perform the job be clearly established. This is done through the process of job analysis, which results in the job requirements matrix. The more clearly these requirements are specified, the fewer the number of applicants who must be contacted to yield a successful candidate, and the narrower the requirement search can be. Second, consideration must be given to the job search and choice process used by applicants, i.e., the organization must be aware of where likely applicants search for employment opportunities and what it will take to attract them to the organization. Recruitment Budget : The high costs of recruitment point to the importance of establishing a well-developed recruitment budget. Two issues need to be addressed in establishing a recruitment budget. First, a top-down or a bottom-up procedure can be used to gather the information needed to formulate the budget. A second issue that needs to be addressed, is to decide whether to charge recruitment costs to HR or business unit users. Recruitment Guide : A recruitment guide is a formal document that details the process to be followed to attract applicants to a vacant job. Included in the guide are details such as the time, money, and staff required to fill the job as well as the steps to be taken to do so. Strategy development helps assess those issues fundamental to the organization: open verses targeted recruitment, recruitment sources, choice of sources, and when to look. In general, an organization should consider looking at a wide range of applicant groups to attract a well-qualified applicant pool. Once a requisition has been received, one of the most difficult aspects of recruitment is, knowing where to look for applicants. In theory, the pool of potential job applicants is the eligible labor force. In practice, the organization must narrow down this vast pool into segments and to do so, it can use open or targeted recruitment methods. Open Recruitment : With an open recruitment approach, organizations cast a wide net to identify potential applicants for specific job openings. Very little effort is made in segmenting the market into applicants with most desirable KSAOs. This approach is very passive in that anyone can apply for an opening. The advantage to an open recruitment method is that it is often seen as being “fair” by applicants in that everyone has the opportunity to apply. The disadvantage to this approach is that qualified applicants may be overlooked as no concerted effort is made to identify those markets with the most qualified applicants. Fortunately for employers, when conducting a search for applicants, they do not have to identify each possible job applicant. Instead, there are institutions in our economy where job seekers congregate. Moreover, these institutions often act as intermediaries between the applicant and the employer to ensure that a match takes place. These institutions are called recruitment sources of methods in staffing. Unsolicited : It is a common practice for employers to accept applications from job applicants who physically walks into the organization to apply for a job or who send in resumes. The usual point of contact for unsolicited walk-ins or resume senders is the receptionist in smaller organizations and the employment officer in large organizations. Employee Referrals : Employees currently working for an employer are a valuable source for finding job applicants. The employees can refer people they know to their employer for consideration. The Internet : As it has so many things, the Internet has changed the face of recruiting. Many applicants for professional and especially technical jobs now include the Internet in their job search repertoire. It is estimated that more than a million resumes are posted on the Internet annually. These are several different ways companies use the Web for recruiting. The most obvious way companies’ recruit on the Web is through their own Web site. The other way companies recruit on the Internet is through online job centers. Several advantages of Internet recruiting are, cost-effective way to publicize job openings, more applicants attracted over a longer period, immediate applicant responses, online prescreening of applicants, links to other job search sites, and automation of applicant tracking and evaluation. College and Placement Offices : Colleges are a source of people with specialized skills for professional positions. Most colleges have a placement office or officer who is in charge of ensuring that a match is made between the employer’s interests and the graduating student’s interests. Recruitment at colleges is usually performed at no cost to the employer. Employment Agencies : A source of non-exempt employees and lower-level exempt employees is employment agencies. These agencies contact, screen, and present applicants to employers for a fee. The fee is contingent of successful placement of a candidate with an employer and is a percentage of the candidate’s starting salary. Executive Search Firms : For higher-level professional positions or jobs with salaries of $100,000 and higher, executive search firms or “headhunters”, may be used. Like employment agencies, these firms contact, screen, and present resumes to employers. The difference between employment agencies and search firms lies in two primary areas. First, search firms typically deal with higher-level positions than employment agencies. Second, search firms are more likely to operate on the basis of a retainer rather than a contingency. Job Fairs : Professional associations, schools, employers, the military, and other interested organizations hold career or job fairs to attract job applicants. Typically, sponsors of a job fair will meet in a central location with a large facility in order to provide information, collect resumes, and screen applicants. Often, there is a fee for employers to participate. For a job fair to yield a large number of applicants, it must be advertised well in advance. Once the recruitment planning and strategy development phase are completed, it is time to actively conduct the search. Searching for candidates first requires the development of a message and then the selection of a medium to communicate that message. The message may be traditional, realistic, attractive, or targeted. There is no one best message; it depends on the characteristics of the labor market, the job, and the applicants. The message can be communicated through brochures, videos, advertisements or online services, each of which has different strengths and weaknesses. As from the study of theoretical overview and practices in a business firm Leading Edge Technologies Ltd., we can finally conclude that human resource planning takes organizational objectives and plans as a given, and is concerned with the staffing process needed for carrying out those plans. It is also being observed that a firm’s internal and external environment may affect the degree to which its HR planning activities are integrated with strategic planning. Organizations that exist in unstable environments–face tough competitions and experience staffing difficulties–are more likely to involve its HR planners in the corporate strategic planning process. It is also studied HR planning involves forecasting personnel needs that estimate the number of employees who will be needed in each job in the short-term as well as long-term. Planners forecast the supplier’s of labor–the internal supply of the employees and their skills and promotability, as well as the probable availability of various types of people in the external labor market. Further it is also observed, once the organization has an idea of its future human resource needs, the next phase is usually recruiting new employees by identifying and attracting qualified persons to apply for the jobs that are open. Some recruits come internally while others come from outside of the organization.